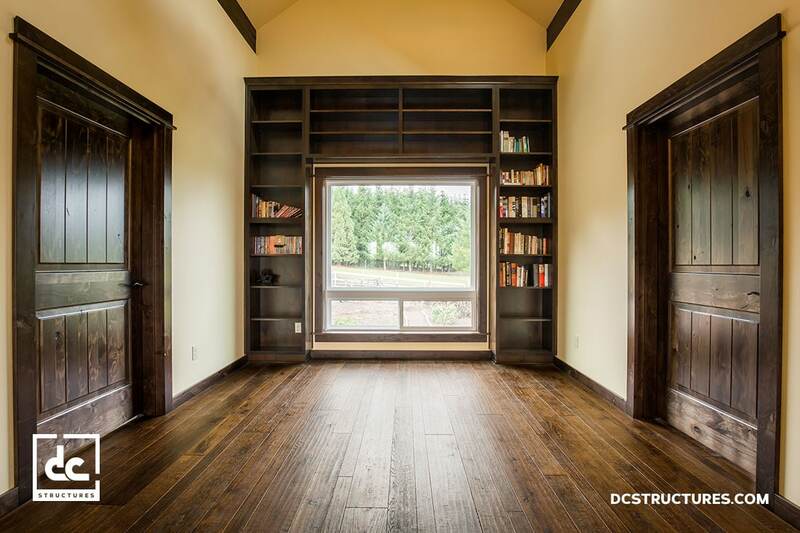 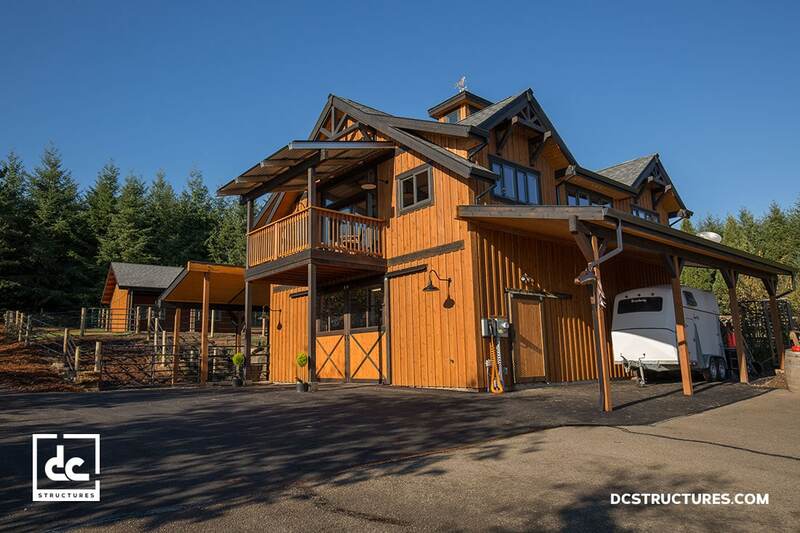 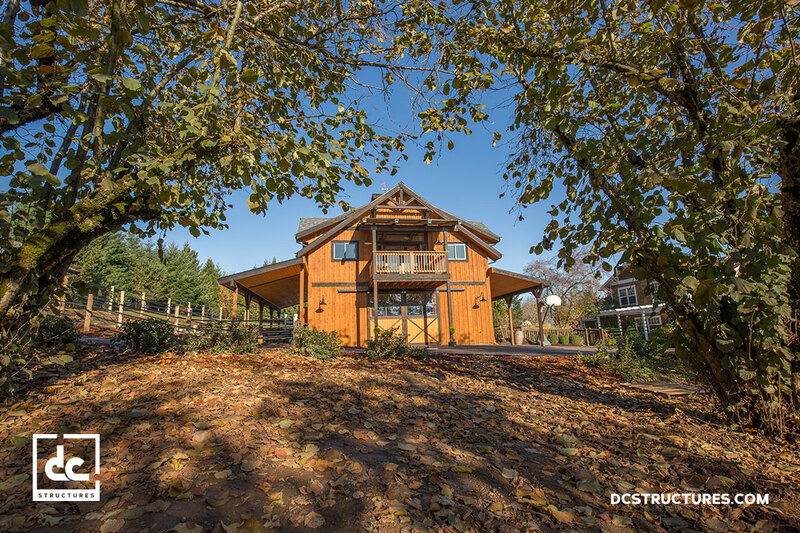 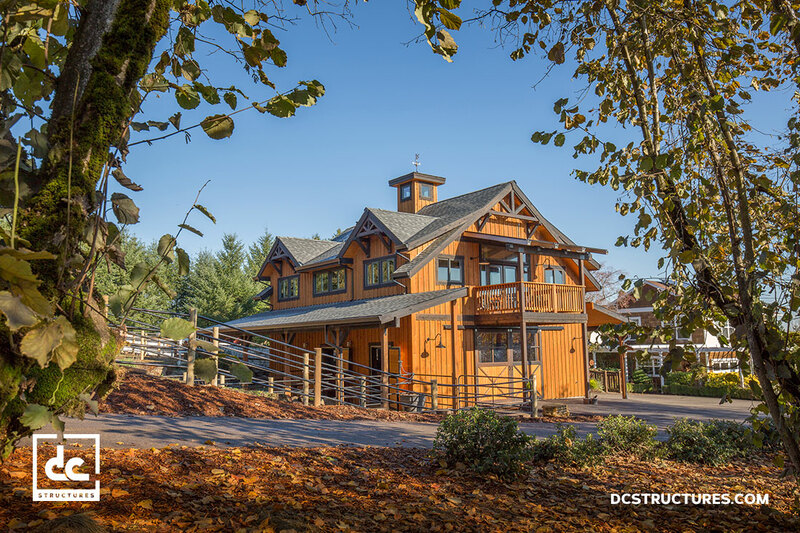 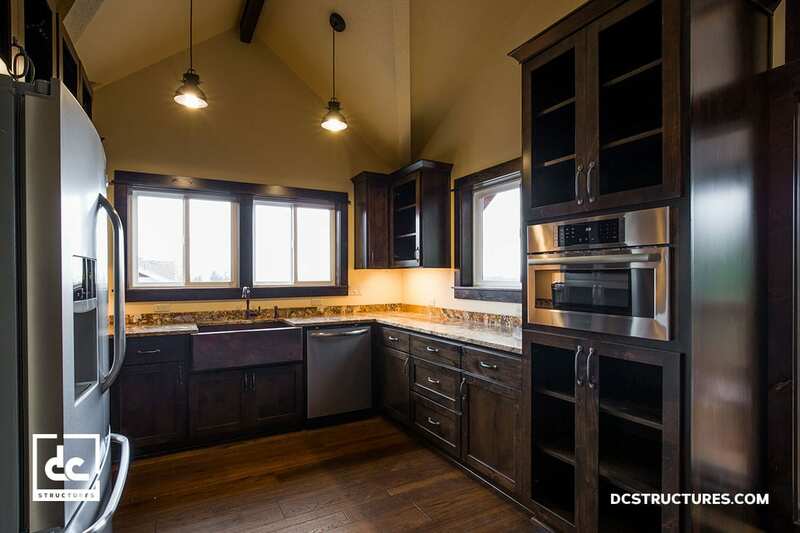 This Oakridge 36′ apartment barn sits on a beautiful piece of property in Cornelius, Oregon. 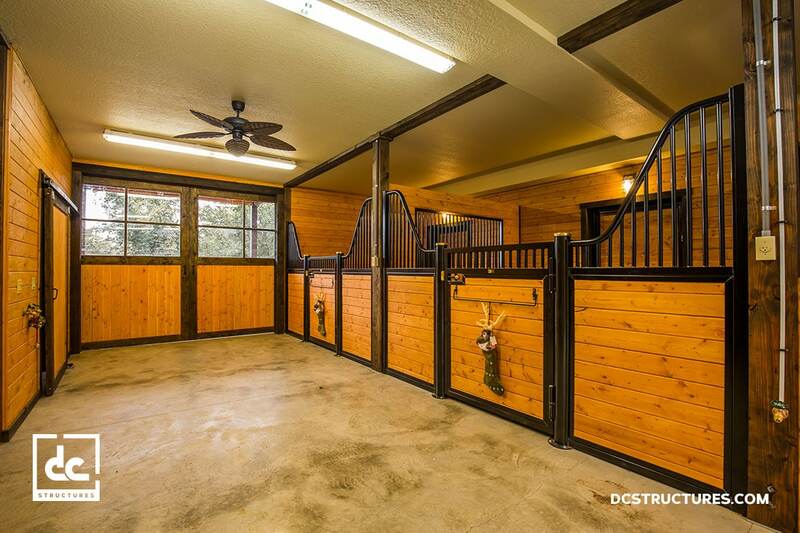 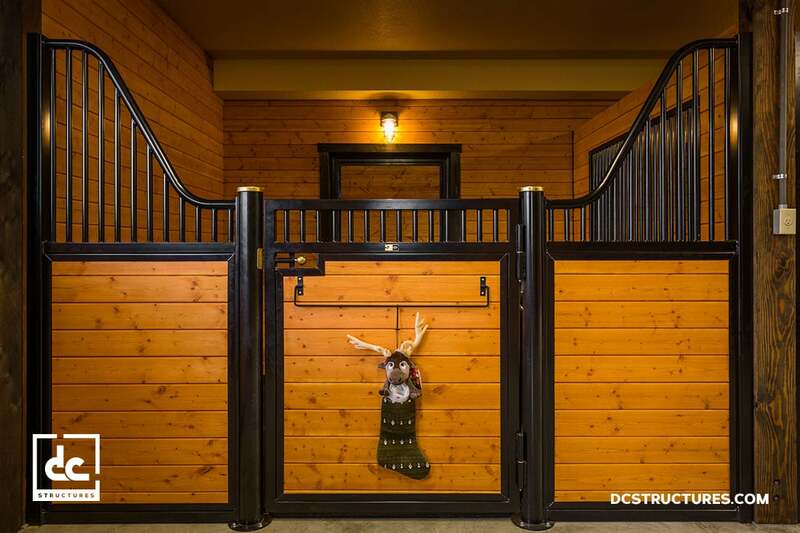 The main level features two horse stalls, two dog stalls, a tack room, hay storage, and two 12′ shed roofs for additional covered space. 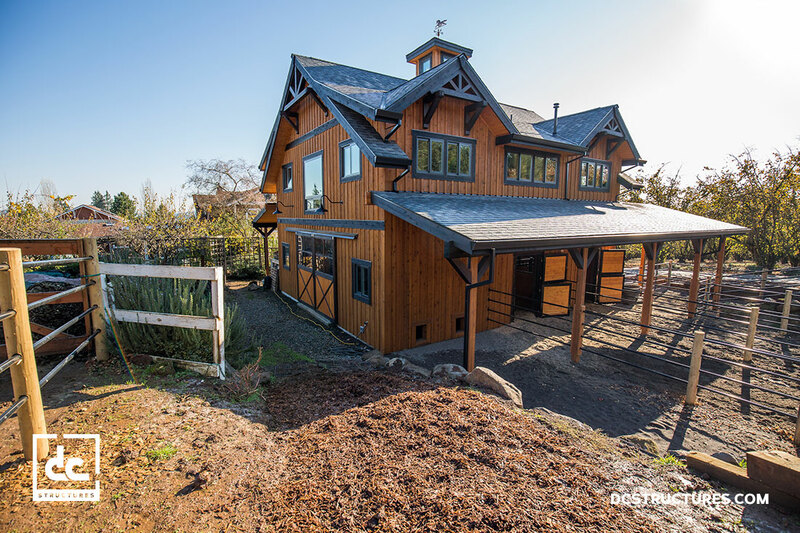 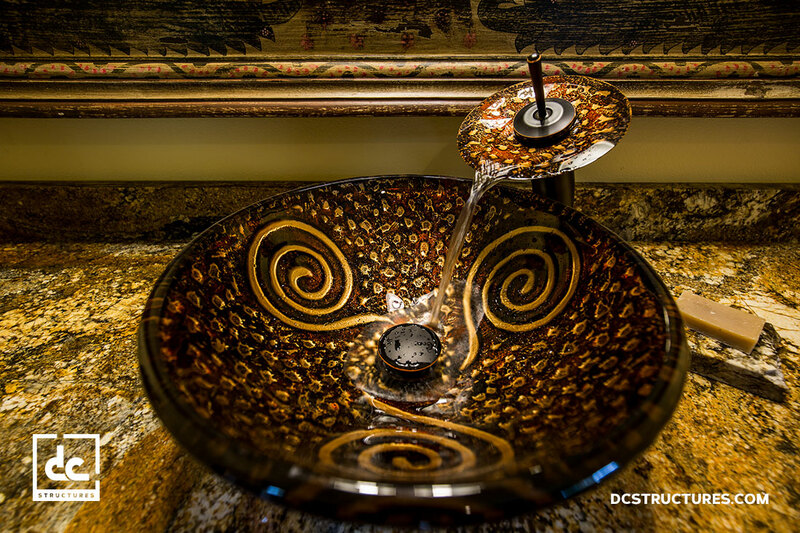 The second level houses a cozy 1,080 sq. 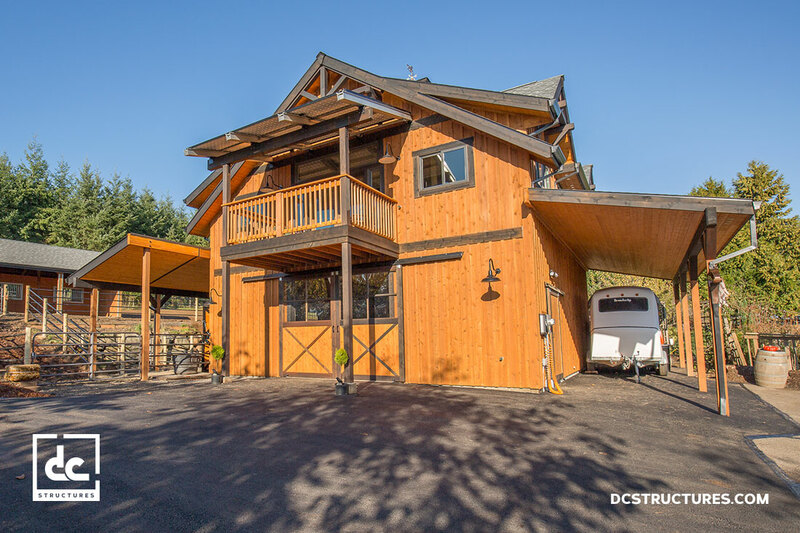 ft. living quarters with a guest room, one full bathroom, an office, living room, kitchen, and balcony. 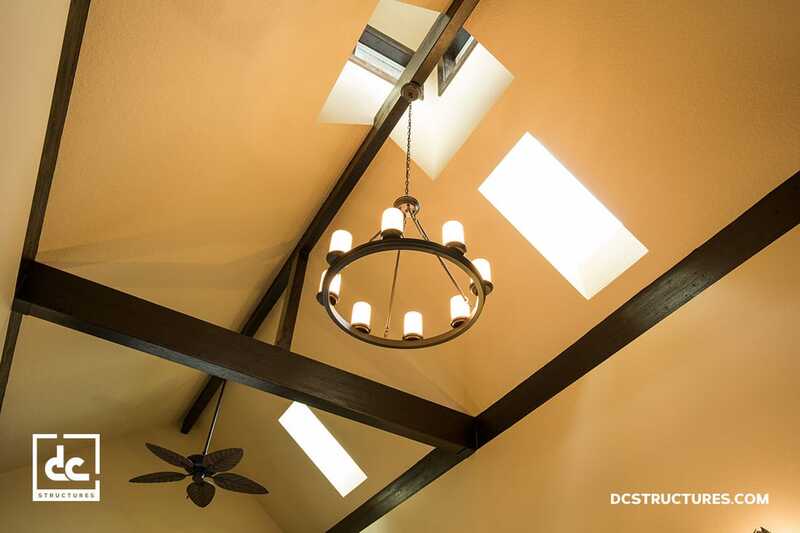 Nantucket dormers, each with their own timber truss, bring character to the building and additional head space to the living area, and six skylights provide natural light.